Have you ever been so excited that’s it’s hard to sleep. Like when you were a kid on Christmas eve, waiting for Santa to drop off a truck load of presents for you to open the next day. Or on your birthday, while everyone is singing you happy birthday and all you want to do is blow out the candles and eat as much cake a possible? Well, this is exactly how myself and Carl Condliff feel right now. For the past six months, we have been working together which has proven to be a super partnership! 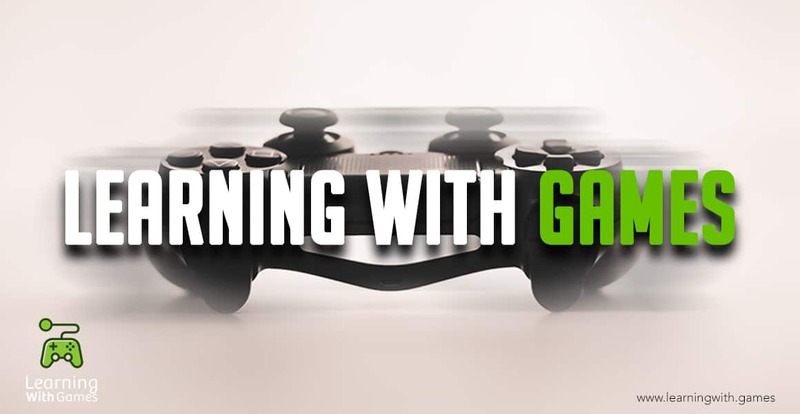 With Carl’s expertise in pro gaming and my creative side, we’ve teamed up to create our latest teacher based learning platform. So today, we are super excited to share with you all, the release of our baby ‘Learning with Games’. This site will change the way teachers engage students and improve learning in the classroom. Here is a quick snap shot behind the development of our mega teaching resource ‘Learning with Games’. It is known worldwide that teachers are dealing with widespread student disengagement in the classroom. As many as 40 per cent of school students in Australia are unproductive in a given year, with unproductive students on average falling one to two years behind their peers and damaging their classmates and teachers (source Grattan institute, Feb 2017). ‘Learning with Games’ aims to tackle this problem, by providing highly engaging learning contexts. Our games serve to teach a variety of important life skills to our students. Teamwork is developed as participants are required to communicate, collaborate and interact with one another to achieve a common goal. Students must demonstrate critical thinking whilst solving problems and students cannot be successful without explicitly demonstrating a range of interpersonal skills. Game based learning is a pedagogical approach where students explore aspects of games within learning contexts provided by their teacher. High quality game based learning requires collaboration between student and teacher as they help co-construct various aspects of the learning experience. When used well, effective game based learning draws the ‘players’ into rich environments that fosters strong engagement and higher order thinking. Students work towards goals, choose their actions, then experience the consequences of those actions as they progress. Gamification is the application of ‘game mechanics’ in non-game contexts. This term has strong links to the video game industry where game designers have a vested interest to ensure players keep on returning to their game. Examples of game mechanics include simple approaches such as badges and leaderboards, but can include mechanics such as ‘humanity hero’, ‘beginners luck’ and ‘collection sets’. If you would like to check this amazing site out then simply click HERE and you can see what we are talking about. Don’t just take our word for it, if you sign up for FREE today you can access one of our amazing resources that we currently have on offer, Cluedo Teacher Hide and Seek. You’ll have access to this and all the videos and learning tool at no cost. Don’t miss your chance to secure the discounted rate for a single license as this will be increased in the coming months. We guarantee that you will love this amazing gamified learning platform as much as we do.